Welcome to our month of celebrating All About The Men! 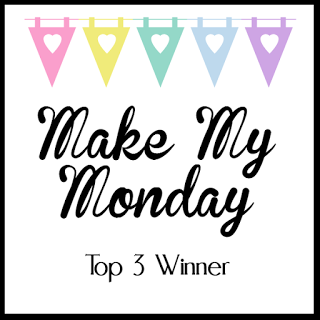 I think many of us struggle with creating a masculine themed card and hopefully we can provide you with some inspiration throughout September here on the Auzz Trinklets and Crafts blog. Bold and graphic are elements I think of when it comes to a masculine design. I kept things fairly simple here as the stamp really does all the work for me on this card. The Concord & 9th turnabout stamps are a revelation. 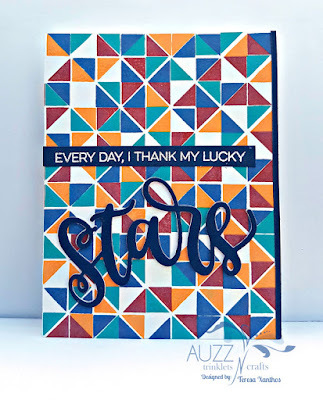 I used the Concord & 9th Triangle Turnabout stamp on this card and it was so fun to play with. 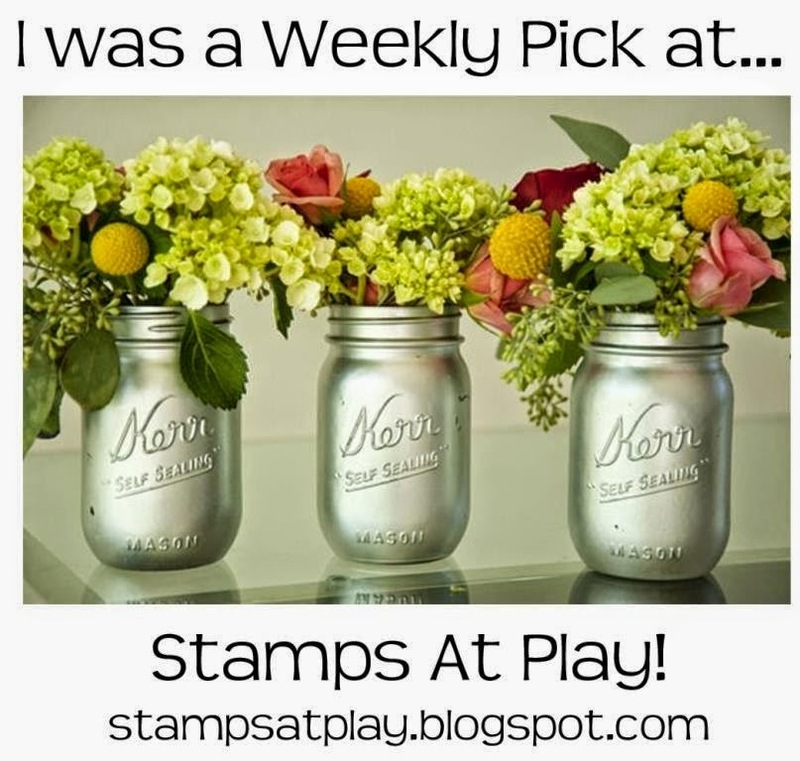 There is a little bit of prep to using these stamps, so be sure to check out the You Tube video they have on their channel to learn what you need to do. 4 1/8" x 5 1/2" to fit the card front, bar a sliver on the right where I placed a strip of Simon Says Stamp 100# Soft Navy Cardstock. 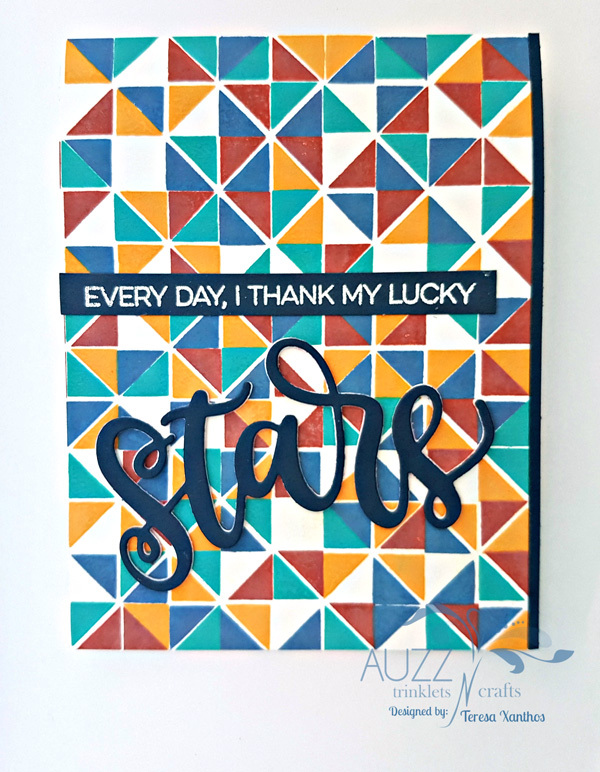 I used the same cardstock to cut a strip for the sentiment and the top piece of the 'stars' word die. 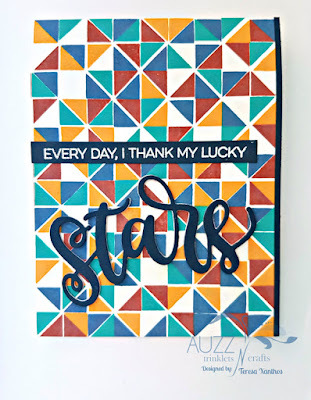 The sentiment was stamped in Versamark Ink from My Favorite Things Written in the Stars and heat embossed with Ranger Embossing Powder, White after swiping the cardstock with EK Tools Powder Tool to prep the surface. I then diecut the word 'stars' with the Sizzix Big Shot Machine from My Favorite Things Shining Stars using Neenah Classic Crest 80# Smooth Solar White Cardstock and stacked these together using Ranger Multi Medium Matte, placing the navy piece on top and adhering to the card. I then adhered the sentiment strip above and the card was complete. Perhaps it is unconventional to have not included some stars on my card, but sometimes unexpected can be fun. What do you think?